In a place where there is constant bombing and shelling in residential areas, where civilians are forced to leave their homes for safety, and where basic necessities including food and water are hard to come by, the need for medical aid is essential. In Syria, Zakat Foundation of America (ZF) is currently running nine field clinics with doctors and nurses available around the clock. Once a month ZF also has a surgeon visit each clinic for a week to perform any surgeries needed by patients. Clinics are located across the country in order to reach as many people as possible with two in Daraa, two in Damascus, two in Dayr ez-Zor and three clinics in Homs. About 20 to 30 patients visit each clinic daily with everything from the common cold to injuries from the ongoing violence in the streets. Every ZF clinic offers free treatment and medicine to all patients. During the busiest times, the clinics have volunteers on-staff. A brave Syrian doctor working in Saudi Arabia recently returned to the country in-secret and is currently volunteering at one of the ZF clinics. Along with the nine field clinics, ZF is supporting field hospitals, running two clinics for Syrian refugees in Lebanon and distributing first aid kits to civilians inside Syria. 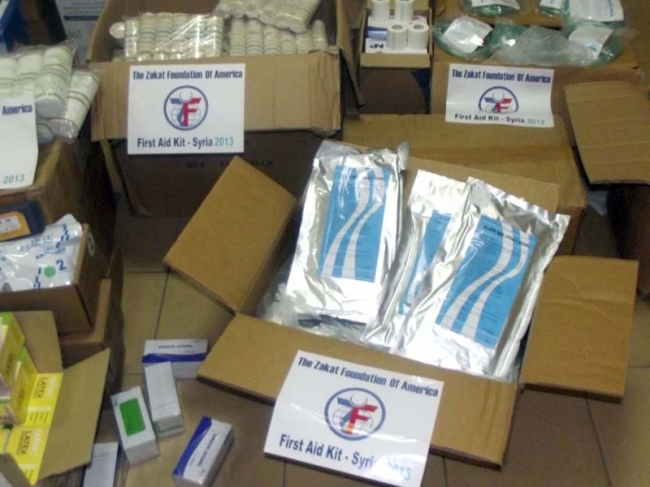 Help provide medical aid in Syria and donate today.